Overall assessment: Swede Augustinsson is the next Tip for the Top, and as a classic modern wing back with pace and willingness to bomb forward on the attack. 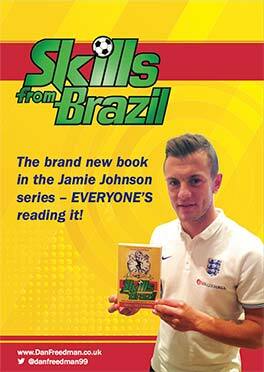 With a strong left foot and the licence to burst to the byline and whip a cross in. Having started out in central midfield at youth level, it is clear to see that Augustinsson has a midfielder’s football brain and vision, as seen with his crossing ability to hit the target man in the middle; usually Martin Harnik. 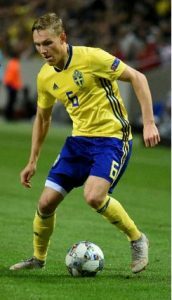 At 5’11”, his main weaknesses lie in the aerial and physical departments, but as a left-back usually against small pacey wingers, the Swede doesn’t necessarily need to possess much prowess in either of those areas. Prediction for future: Having signed for Bremen last season, it seems unlikely that he’ll move anytime soon, but when the time comes for him to fulfil his huge potential and make the big time, he could well join Bayern Munich to rival David Alaba for the left-back spot in Bavaria, or he could well link up with Lucien Favre at Borussia Dortmund, who have had problems in recent years on the left of their four man defence, due to the decline of long-serving Marcel Schmelzer. Rafa’s view: I really like Augustinsson; he has an aura of Roberto Carlos in him in the sense that he’s a set-piece specialist as well as an attacking wing-back. I also like the fact that he can defend, and he has been praised in recent times by the Bremen boss for his defensive qualities. I could potentially see him in the Premier League, but I personally think his most realistic path to the top would be at either Dortmund or Bayern. 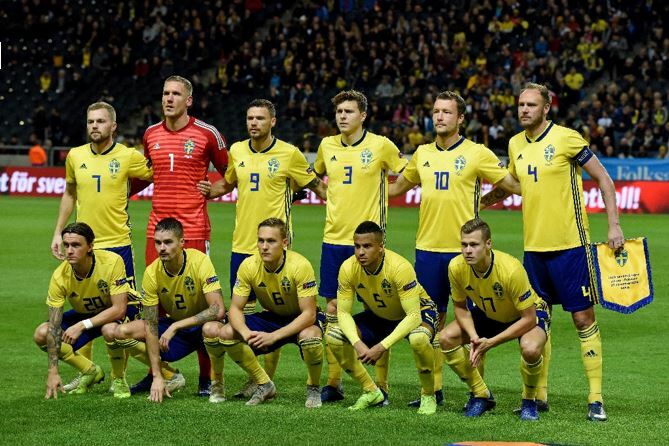 Augustinsson lining up for Sweden. ← The November Fans Of The Month are Ballynahinch Primary School!